1. 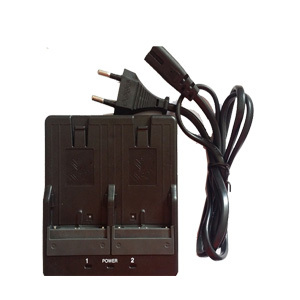 Simple, low-cost charger for Sokkia BDC46, BDC46A, BDC46B, BDC58 and BDC70 batteries. 2. A country specific AC/DC adapter is included with the charger..
3. The charger has a trickle charge feature. This ensures that the battery is always fully charged and ready for use. 4. Works and charges the same as the original. 5. Comes with 12 months manufacturer warranty. 6. Safety, CE, RoHS approval.